Karen Rufo MS, RN, PPCP-BC presents abdominal assessment skills for school nurses. Please refer to the Resources for specific charts and posters. Participant will increase knowledge and ability to implement evidence-based practice related to Abdominal Assessment of students. 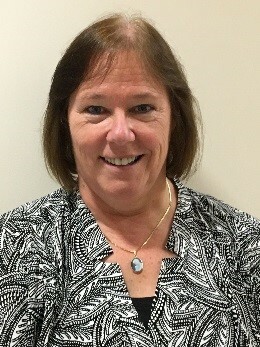 Karen Rufo is the Nurse Leader of Natick Public Schools and she also works as a Nursing Supervisor at Newton Wellesley Hospital on evenings and weekends! Karen describes herself as “a Type AAA” and has always maintained a “dual practice” throughout her Nursing Career to gain as much experience as possible. She attended St Elizabeth’s Hospital School of Nursing, where she received an excellent “hands on” nursing education, highlighted by being “stuck there” during the “Blizzard of 78!” She received her BSN from Northeastern University and her Master’s Degree and Nurse Practitioner Education from Boston College during the Flutie Era and remains a BC football fan to this day! Her Pediatric Nurse Practitioner Certification is from the American Nurses Association. Karen has worked as a School Nurse Leader, Nurse Supervisor, a Pediatric Nurse Practitioner, a School Nurse, Nurse Manager, Nursing Instructor, and as a staff nurse in the various areas: Pediatrics, IV Therapy, Operating Room, and Emergency Room. When she retires from Nursing she hopes to work in one of these three areas: Disney World, Fenway Park or Comedy Central! The planners and presenter of this educational activity have no conflict of interest to declare. Participants successfully completing this program will receive a certificate of contact hours. Certificates of contact hours may be printed online after successful completion of the learning assessment.